Director J.A. 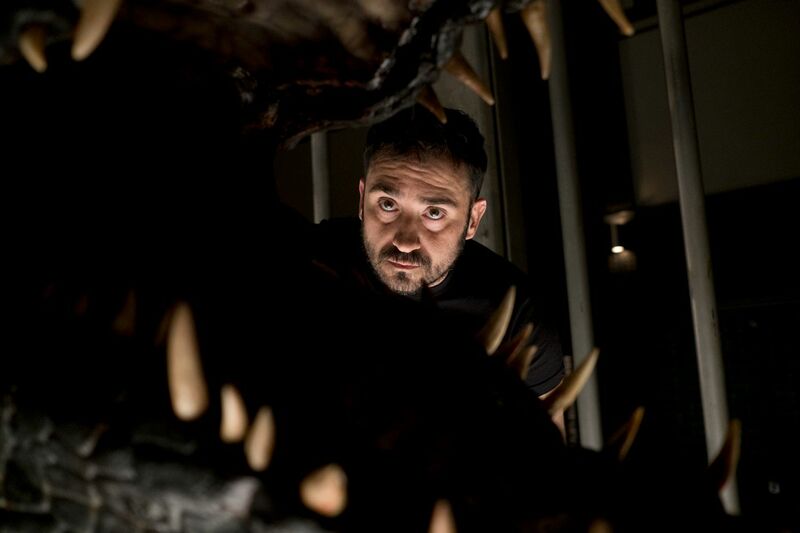 Bayona’s Jurassic World: Fallen Kingdom, already playing around the world, is opening this weekend in North America. 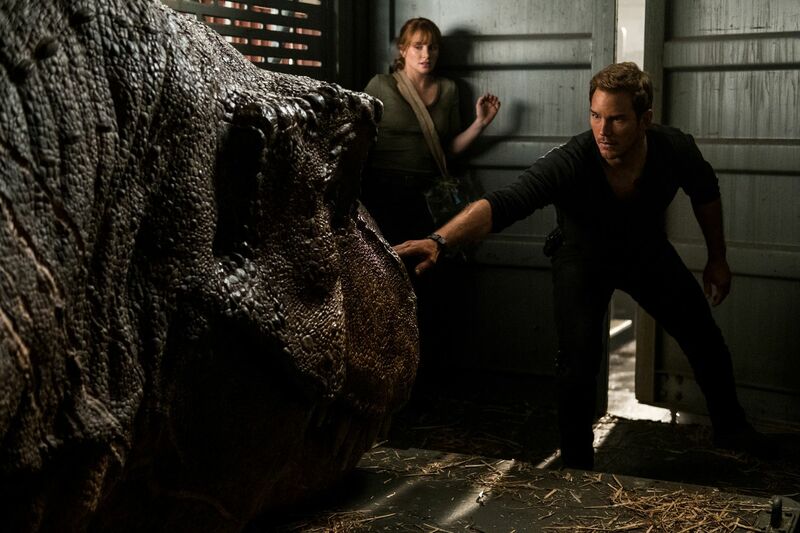 Written by Colin Trevorrow and Derek Connolly, the follow-up takes place three years after the events of Jurassic World and finds Owen (Chris Pratt) and Claire (Bryce Dallas Howard) returning to the now-abandoned Isla Nublar to rescue the remaining dinosaurs from a brewing volcano that threatens to make the animals extinct once again. But their expedition is not what it seems, and after uncovering a conspiracy, Owen and Claire find themselves in a race against greed, corporatism, and murderous dinosaurs. The film also stars James Cromwell, Ted Levine, Justice Smith, Geraldine Chaplin, Daniella Pineda,Toby Jones, Rafe Spall, Isabella Sermon, BD Wong, and Jeff Goldblum. Last week, I spoke with J.A. Bayona in Hawaii (no, the backdrop isn’t a matte painting!) about the making of the fantastic sequel. He talked about why he thanked Guillermo del Toro in the credits, which was the toughest sequence to shoot, his first cut of the film, why he showed Tom Holland and his family the film towards the end of the editing process, how Steven Spielberg is the one that gives the final blessing to the movie, how the second half of the film is like a haunted house movie, and a lot more. Finally, as a big fan of J.A. Bayona (he’s previously helmed The Impossible, The Orphanage and A Monster Calls), I’m happy to report his first big budget Hollywood movie is a success. 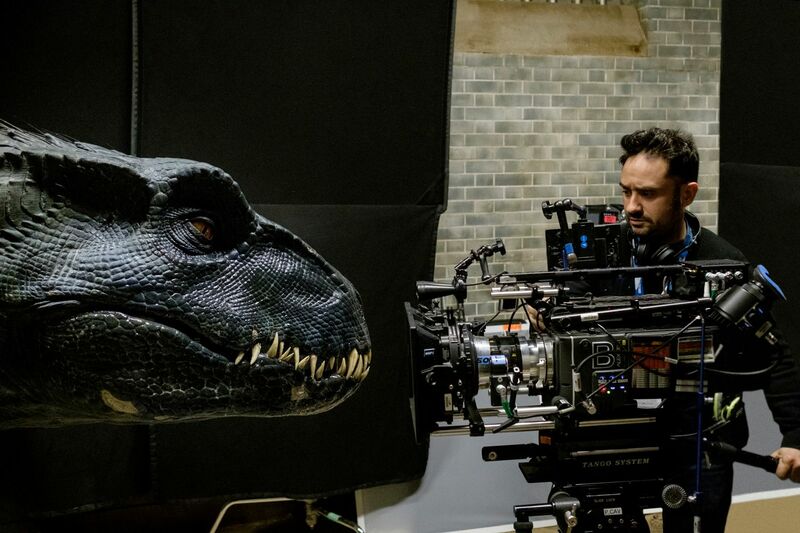 Not only does Fallen Kingdom have the thrilling action scenes we’ve come to expect from a Jurassic Park movie, it’s also got a ton of great quiet moments that build suspense in the way he moves the camera towards what he wants you to see. Trust me, Jurassic World: Fallen Kingdom is a fantastic movie and something well worth your hard-earned money. Check out what J.A. Bayona had to say in the player above and below is exactly what we talked about followed by the official synopsis. Why did he thank Guillermo del Toro in the credits? Which was the toughest sequence to shoot? Did he do any friends and family screenings and what did he learn from them? How he showed the film to Tom Holland and his family before it was released to see what they thought. Were there any dinosaurs that came thisclose to being in the film? How long was his first cut compared to the finished film? Will he include any deleted scenes on the Blu-ray? How the second half of the film is like a haunted house movie.